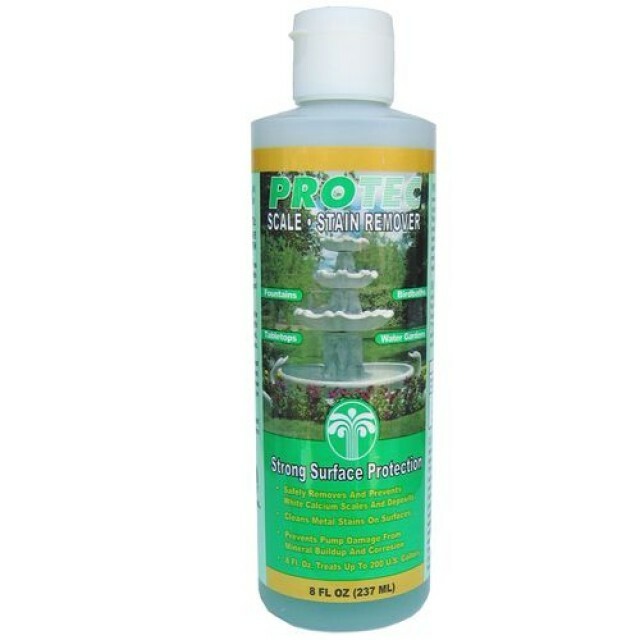 The powerful, dual-action formula of Protec makes it very easy to maintain the beauty of water statuary surfaces. Protec contains a unique blend of advanced organophosphates for superior protection against both white calcium mineral buildup and metallic stains. 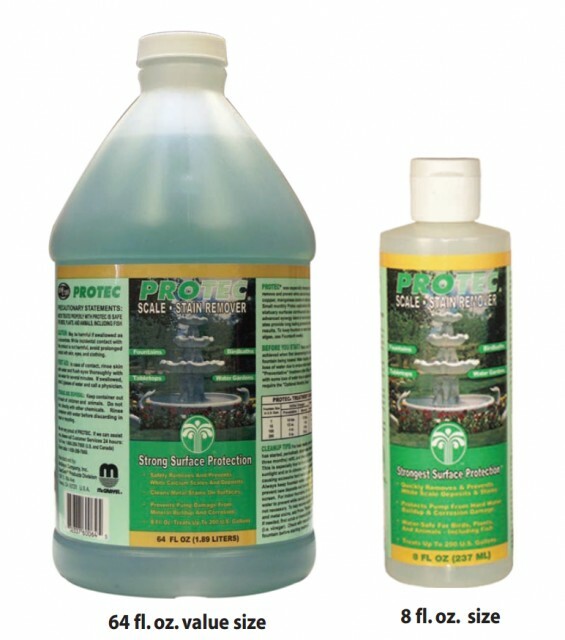 Protec will prevent and remove existing mineral deposits and metal stains on all types of fountain and statuary surfaces. This product will also help prevent pump damage due to hard water buildup. 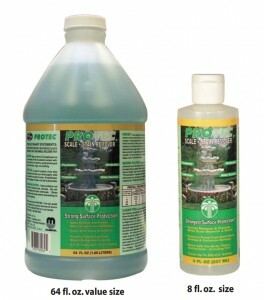 Protec treated water is safe for birds, plants, and animals.